The New Rusyn Times is the flagship publication of the Carpatho-Rusyn Society and is one of the primary membership benefits of belonging to the Society. Published four times a year, 16+ pages per issue, The New Rusyn Times is the largest and finest English-language Carpatho-Rusyn heritage publication. The writing is geared to readers of all levels, appropriate to someone just discovering the Rusyn heritage, but also presenting material in a way that will challenge and enrich even those with an in-depth familiarity with Rusyn history and culture. Other features appearing time to time are Rusyn Music Corner, Rusyn Book Corner, Rusyns in Cyberspace, Rusyn Folktales & Legends, and From the Annals of Rusyn America (historical profiles of immigrant Rusyn communities). The Rusyn Word feature presents the only original Rusyn-language writing to be published in the United States at the present time. Longer feature articles address significant current events (such as special expanded coverage of the devastating floods that hit Subcarpathian Rus’ in late 1998), in-depth historical profiles, biographies of notable Rusyn cultural leaders, exclusive genealogy resources and how-tos, photo essays, and much more. The New Rusyn Times is edited by an advisory Editorial Board. Members of the Carpatho-Rusyn Society have contributed feature articles and translations of valuable articles previously unavailable in English. Do you want to contribute an article for publication? Contact the editor to discuss your proposed article. Advertising is accepted (provided it is relevant in content and contributes to the mission of the Carpatho-Rusyn Society) at the following rates: $20 per column-inch (for C-RS members); $40 per column-inch (for non-members). For more information, contact the editor. The New Rusyn Times, as the most significant Rusyn publication originating in the United States, is mailed to major American university and ethnic research libraries, the Library of Congress, as well as to all Rusyn organizations in east central Europe. 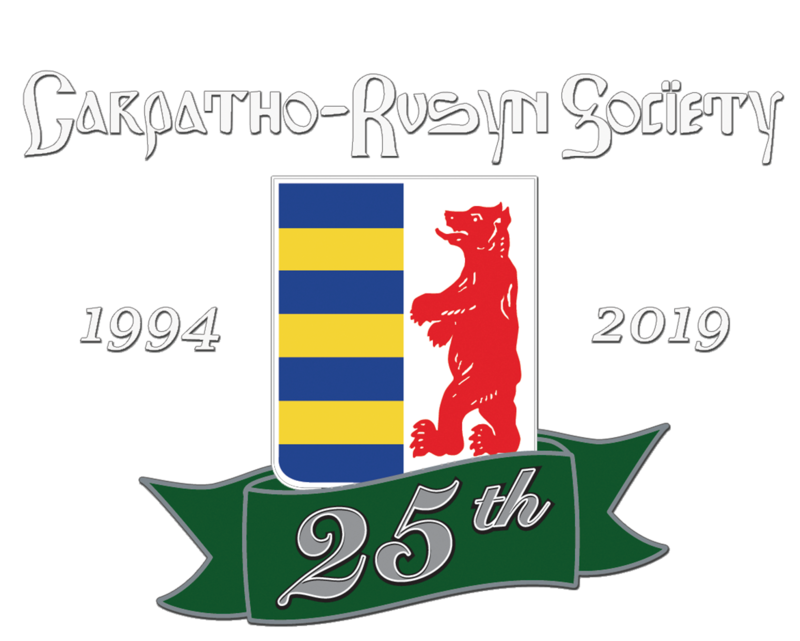 In this way, the newsletter informs not just our membership, but the international Rusyn community and the world at large, about the activities, culture and history of Rusyns in North America and their primary cultural organization, the Carpatho-Rusyn Society.